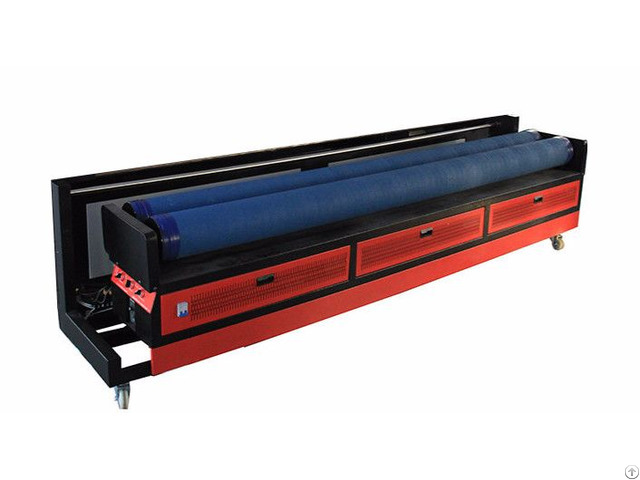 The feeding unit is a roller feed type conveyor, allowing further automation of textile and foil laser processing. 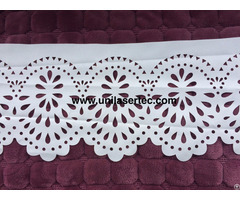 The material is forwarded from the roller to the laser system where it is cut or engraved. The automatic edge control of the feeding unit ensures a constant material alignment and thus continuously precise high quality cuts – meter by meter. The material feed is stretching-free, and the contactless laser processing leads to excellent results. Business Description: Unikonex as a professional laser system solution provider, we have established an extensive sales and service network, which enables us to provide quality products and services for clients. 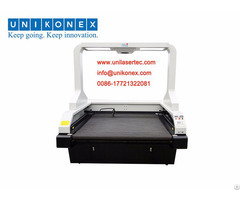 Unikonex is one of the important manufacturers of laser machines for engraving, cutting and marking. With our employees working with international sales channel, we offer our customers an international services and sales network. In addition to our state-of-the art CO2 and fiber laser machines, we offer our customers comprehensive services, such as technical advice, material tests and technical support by qualified service technicians. 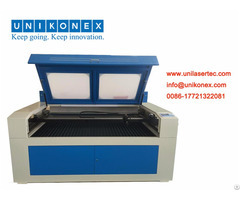 Unikonex is the recognized technological leader in the market for laser cutting machines and laser engravers. We understand this as the duty to continue developing and improving our laser machines for our customers.